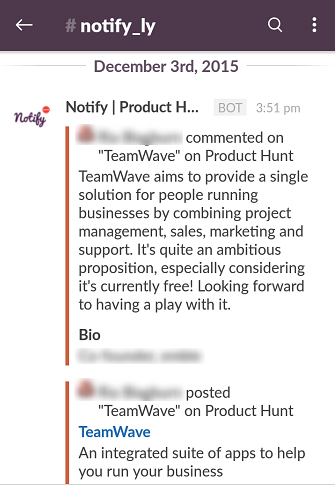 TeamWave’s Product Hunt Experience: 600+ Registered Companies! Product Hunt is a unique community for product geeks who love to try out new products, technologies and websites. Once a product is submitted, community members can upvote & discuss it. 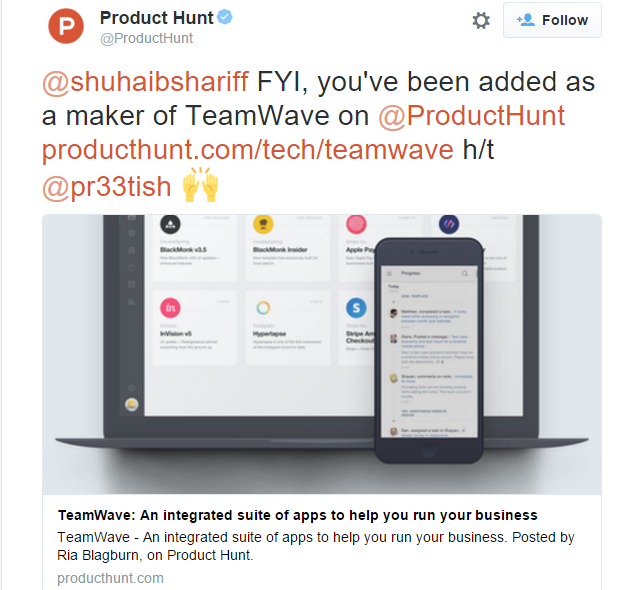 At this time, Product Hunt has become the go-to platform for many tech startups to launch. 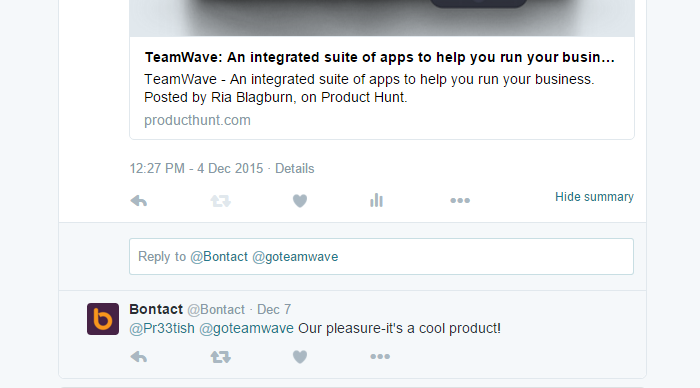 TeamWave (currently in BETA) was featured on Product Hunt (03-December-2015) and in this post we’ll share our experience. Although the Product Hunt concept seems quite simple, there are some things you should be aware off that can either make or break your launch! Let’s get into the nitty-gritties. Customizing your landing page with a special offer for the Product Hunt “community” gives you an advantage. Keeping the landing page friction less and easy to sign up are also important factors. When a user with good reputation or Administrator/Moderator submits your product, there is a higher probability of making it to the “featured” section. Otherwise, the product gets listed in “upcoming” section and then the onus will be on the decision-makers from PH community to decide whether to move the product from “upcoming” to “featured” section. Products in the “upcoming” section get negligible traffic. Everyday hundreds of product get submitted and only some of them get into the coveted “featured” section. And there you go – we went live on Product Hunt. After getting featured on PH, you need to take care of certain important things. Maker should give a brief introduction about the product and start Ask-Me-Anything. Here you basically invite the community to check out the product, avail the offer (if any) and post queries. You can promote the fact that you’re listed on Product Hunt. But, make sure that you or any of your team members are not for asking for upvotes directly. That can penalize your listing and finally it might get removed. Some startups send news letter to their existing users to promote the listing. But, we took a conscious decision not to intrude into our users’ inbox and primarily used social media for the promotion. On Twitter, you can personally thank PH users who voted for your product. If you setup notify.ly, it would be easy to get notified for each mention in PH and you won’t have to frequent the listing page. After getting listed we noticed a surge in traffic and number of sign ups were also quite encouraging. As of 09-December-2015, we have managed 164 upvotes and 600+ registered companies directly and indirectly attributed to Product Hunt. After getting listed on PH, we also got some love from Spanish blogs! We could have got more visibility had we launched with a Product Hunt Exclusive listing (it literally adds a gold star to the product) by offering some kind of discount. 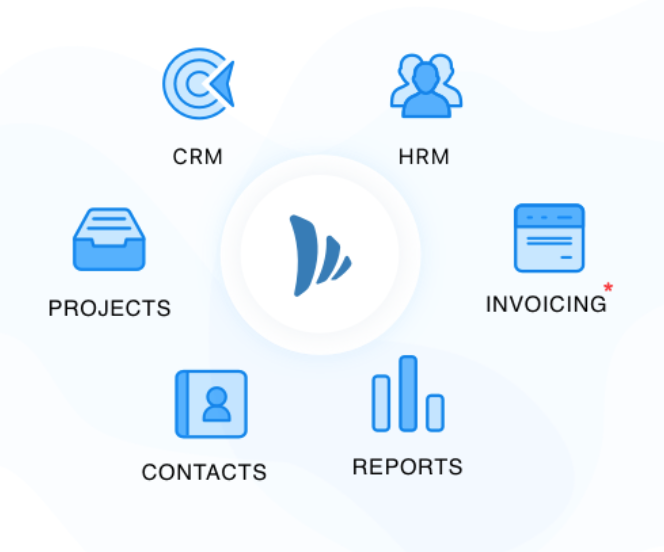 Considering TeamWave is already a free product, that was not possible. Launch your product with adequate planning and make sure that someone with good reputation hunts you. Be open to feedback, try to engage with the community members; the insights could be valuable! We’d love to know about your experience with Product Hunt. Feel free to post your comments.